A few weeks ago, I geeked out and created a dream cast for a film version of Down the Dark Path. Upon reflection, it’ll probably take two movies to bring DDP to life (but definitely not three – a la Peter Jackson’s catastrophic dissection of The Hobbit.) No matter. Reality isn’t a problem. The whole exercise proved so engrossing and fun that I’m taking it a step further. 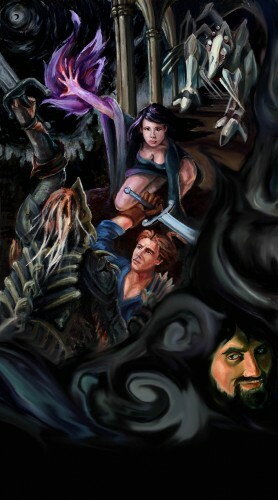 Therefore, if only in my dreams, I’m bringing Dark Moon Daughter – Book Two in the Tyrants series, to the big screen. Ultimately, I plan to write a real-life screenplay, but that’s years away, and by the time I get it greenlit, my current cast of stars will likely be halfway in their graves. Emmy Rossum – Repeating her performance of Andelusia Anderae, the ridiculously good-looking Lady Rossum will have to dye her hair black, wear raggedy dresses, and wield world-melting magic. It’s cool. I’m sure she’s up to the challenge. Tom Hiddleston – Forget Loki. Forget anything even remotely comic-booky. 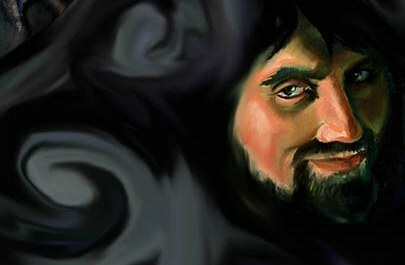 In Dark Moon Daughter, Tom will be asked to play the angsty, tormented, and sinister Warlock. He’ll wear dozens of different costumes. He’ll narrate off-screen. He’ll conquer entire nations without so much as touching a sword. Bad men require great actors. Tom is unspeakably good for this role. Robbie Coltrane – You’ll know him best as the furry, hulking good guy from Harry Potter. But I think Robbie is perfect to play the corpulant, lethargic, and piteous King Orumna. Imagine him filling up a throne, stuffing his gullet with wine, mocking everything and everyone who attends his court. It’ll be beautiful. Daniel Radcliffe – While we’re on the topic of Harry Potter actors, I stumbled across another one well-suited for Dark Moon Daughter. Daniel is thin, pale, and dark-haired. He’s the quintessential Thillrian, meaning he’s perfect to play Ghurk Ghurlain. Yeah, ok…he’ll have to smear his face with Undergrave dust and read most of his lines in the dark. And yeah…he’ll be far from heroic. But being a Thillrian nobleman ain’t what it’s cracked up to be, especially when you’re forced to dig to the bottom of the world. Jessica Brown Findlay – Who better to skulk the hallways of the fortress Midnon, crooning her miserable songs? What lovelier face to seduce the noblest hero? Downton Abbey’s JBF, especially the pale, haunted version we see here, was born to play the role of Ona. Treacherous yet impossibly honest, young yet guileful, the actress suits the role….or is it the other way around? 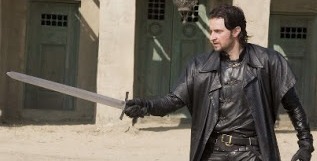 Richard Armitage – And now for the serious stuff. Richard has always struck me as slightly aloof, slighty cold (in his acting roles, not real life.) It’s also known that he’s a skilled swordsmen, as proven in The Hobbit and his Guy of Gisborne role in the Robin Hood tv series. Given his skills, I’d cast him as the interminably cruel, utterly irredeemable Grimwain. He’ll get tons of screen time…and the chance to be the baddest bad guy who ever lived. You don’t have to talk much, Richard. Just get to butchering. Dave Bautista – He won’t get any lines. He won’t even get to show his face. But someone with a terrifying presence needs to play the horror Mogru. Imagine this dude decked out fully undead, fully armored in obsidian plate mail. He’s just a tiny droplet of the awful magic the Ur intend to release. And based on his skill shown in Guardians of the Galaxy, Dave can add just the right amount of thuggery and fear to Mogru’s dread-inspiring role. Guillermo del Toro – He’s not an actor. I don’t want him to be one here. I only need him to be a part-time producer…and the costume designer for both the deathless Uylen and the horrific Sarcophages. His work in Pan’s Labyrinth inspired me in many ways. Need ya, Guillermo. Money is no object. So who’s up for helping me finish the screenplay?